We provide pre-school places for children aged 2—5. 3 hour sessions cost just £6 and we are able to offer government funded sessions for 3 and 4 year olds. All of our staff are N.N.E.B. or N.V.Q. 3 qualified. We provide a safe, caring and nurturing environment with a wide variety of enjoyable and exciting learning opportunities! to arrange a visit or for more information. We also operate a waiting list for places. We are delighted to have recently launched our brand new Website. www.marinepoint.co.uk Our previous website was designed for Property professionals who expressed interest in the empty units. We felt the time was right to change this and make it more user friendly for people visiting Marine Point and the rest of New Brighton. The website enables people to view all of the current offers that can be enjoyed at Marine Point, on the same page. 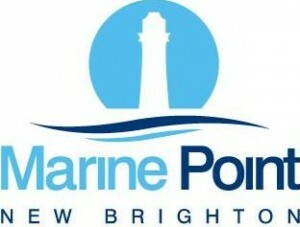 www.marinepoint.co.uk/offers It also has a what’s on section, we are looking to open this section up to anyone wishing to let popel know about major events taking place in New Brighton and would ask that people emailed us on info@marinepoint.co.uk for more details about how to add events. Additionally, Brookylns has closed down and been replaced by La Tasca Restaurant. We are delighted to have attracted a national brand that offers something different to the other restaurants in the development. We have now completed our agreement with Subway, who have began work on their fit out close to the starbucks unit. They hope to be open in October. We are pleased to announce that we are in legal negotiations with Pizza Express, to take the unit next to The Seahorse. We hope to have legal completion in the coming weeks with a view to the opening late 2013 early 2014. We feel this adds to the development and provides somewhere for teenage visitors to relate to. Pizza Express also have a number of national offers that will complement the cinema, further promoting Marine Point as a full day out destination. Why not help out or organise new activities, we are always looking for volunteers! What a Summer it’s been at The Light Cinema New Brighton! Soaring temperatures didn’t keep our audiences away, and as well as filling our screens, we had our café full of creative children every Tuesday (courtesy of Bluey & Baloo) and Miss Giggles was on hand every Thursday to entertain and enthrall with magic and mayhem, as she introduced the Fun Family Film Festival. In the Autumn we have our fantastic new Light Arts Season, including National Theatre Live, Royal Opera House Live – and a special screening of Richard II starring David Tennant – LIVE from the RSC. We launch a season of Independent American Cinema on 12 September with “Easy Rider” at 7.30pm – followed by 3 more films every second Thursday of the month – presented by expert and enthusiast Craig Barton – who will be on hand on host Q&A sessions after each screening. We are presenting two films as part of the 2013 International Guitar Festival – “Hendrix 70 – Recorded Live from Woodstock” and “The Last Waltz”. We are also thrilled to be hosting live music in the Light Café Bar from the wonderful Jo Richards and her fantastic band “Calico” from 1.30pm on Sunday – before “The Last Waltz”! We will be showing a charity screening of “Diana” for Claire House on Friday 4 October from 7pm. Tickets are £12 and include a glass of wine, popcorn, and film ticket. We are excited to be chosen as a venue to host the National Youth Film Festival from 21-25 October, which launches with an exclusive premiere of “The Selfish Giant” on Monday 21 October at 4pm. We are pleased to continue offering silver screenings every Monday for seniors; Kids Club on Saturday and Sunday mornings; Parents, bumps and tots on Friday mornings and subtitled screenings for hearing impaired customers. We are also going to be start presenting autism-friendly screenings from the end of September. Watch this space! We hope to see you at the Light Cinema soon, where comfort, state-of-the-art digital technology, excellent customer service plus the warmest of welcomes guarantees the best quality cinema experience! Though the family moved to Wirral as a boy, Michael Wentworth was born on 20th July 1932 in Prescot. Throughout his live, he was amused that, to be ordained for the Shrewsbury Diocese, he needed the permission of the Archbishop of Liverpool. From St Joseph’s Primary School, Upton, he went to St Anselm’s College. At the age of thirteen, he went to Ushaw College, Durham, to begin the course that led to the priesthood. He was ordained priest at Our Lady’s Birkenhead on July 13th 1958.Following a series of appointments throughout the diocese, he became Parish Priest at Ss Peter and Pauls New Brighton in 1996 where he worked most diligently until retiring through ill health in 2006.In a world where the Church was changing, where structure, committees and administration occupied ever more the time of priests, Fr Michael remained faithful to the ideals which had inspired his vocation. He was devoted to his people, he cared for them without any thought for himself, and the sick were of particular concern. He was selfless and very kind. He was embarrassed by manifestations of gratitude, and he preferred to do good by stealth.He did an enormous amount of good during his life. He helped very many people and he earned their gratitude and affection. He was totally committed to his priesthood.Fr Wentworth died on 20th July 2008. May he rest in peace. RIVER CRUISE approx 3 hours. DEPARTS:- Seacombe – 1200 Woodside – 12.10 … Pier Head – 12.20…………………………. 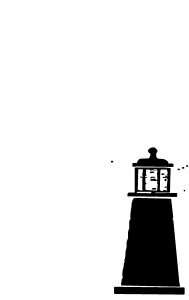 RETURNING:- Seacombe – 3PM Woodside – 3.10 Pier Head – 3.20 …………………………………. 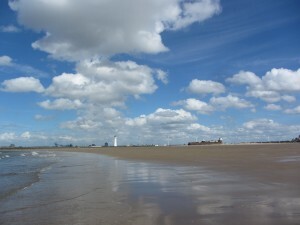 “See the Wirral and Liverpool coastlines and, if conditions allow, go into Liverpool Bay as far as Crosby. Commentary from former senior River Pilot Stuart Wood and BBC Radio Merseyside’s Andy Ball plus a performance by The TALISMAN band. Love it or hate it, we all create litter; it’s part of the modern world we live in. We argue about it, we write about it, we blame supermarkets and fast food outlets for it. But what most of us don’t do, is leave it on New Brighton’s beaches. But a significant minority do just that. After a good day out at Wirral’s premier seaside resort, they think nothing about simply abandoning the detritus of their fun and food filled frolics on the sand, among the rocks or along the promenade. What to do? We can moan that there are not enough bins, we can moan that the council has not cleared it up fast enough, we can walk on the beach tut tutting at the mess, or… we can be proactive and do something about it. Which is what some New Brighton beach-lovers are doing. One group, led by Paul Roberts, meet at specific times, and another group, started by Dave & Jan Peddie, is made up of people who are willing to litter pick when simply going for a walk. Both were officially launched in August at the Olive Tree Bistro, Victoria Road (big thanks to Leanne!). The Wirral Coastal Rangers are also supporting this initiative by providing pickers and heavy duty rubbish bags. Whichever way we look at it, litter is everyone’s problem, but it’s easy to be a part of the solution. Atherton. Rowson. North. Fowell. Recognise them? Yes, of course – they are the names of roads in New Brighton. But they are also the names of the most important people in New Brighton’s history and heritage. And St James’ church in Victoria Road is connected with all of these men, and the church’s history is an integral part of our local heritage. When James Atherton established New Brighton as a Victorian sea-bathing resort, a church was always part of his plan. Although he died before his ambitions could be realised, his son-in-law and business partner, William Rowson, donated land on Victoria Road, and also undertook the task of raising the funds for building the church. It was built from yellow sandstone from Storeton Quarry and completed in 1856. St James’ is one of the largest churches in Wirral, with the tallest spire, and originally seated a congregation of over 900. Fowell Road, to the west of the church, is named after its first vicar. Frederic North of Ewart House, Wellington Road, was the church’s greatest benefactor, and on his death in 1910 left the equivalent of £5 million for the erection of churches in Wallasey. Many of the church furnishings and monuments, including the pulpit, the lectern and the east windows, were given by, or in memory of, the families of Atherton, Rowson and North, who can with every justification be described as the founding fathers of New Brighton. The community has changed a lot since 1856 when New Brighton was home to prominent Liverpool businessmen who lived with their servants in large villas. St James church can no longer depend on the generosity of a few wealthy benefactors. And time and the elements have taken their toll on this magnificent building. In fact, a total of £850,000 will have to be raised to rebuild the spire, repair the masonry and windows, repaint and clean, and modernise the interior. And contrary to popular belief there is no money from the Church of England or the Government to do this. It will all have to be obtained from fund-raising events and grant applications. St James’ is now starting on this process. And the intention is that the restoration will include plans to open up the church much more for community use and to more actively display the church’s role in New Brighton’s heritage. The restoration appeal will run under the name “inSpire.” Please look out for inSpire events, and if possible support them. It will be a long journey, but I’m sure that, somewhere, James Atherton is willing us on. Since 1882 Mariners’ Park in Wallasey has been providing support for retired mariners and their dependants. Situated on an idyllic 16 acre site on the banks of the River Mersey, and boasting views of the Liverpool waterfront, the Park provides retirement accommodation and a care home operated by the Nautilus Welfare Fund, a registered Charity. 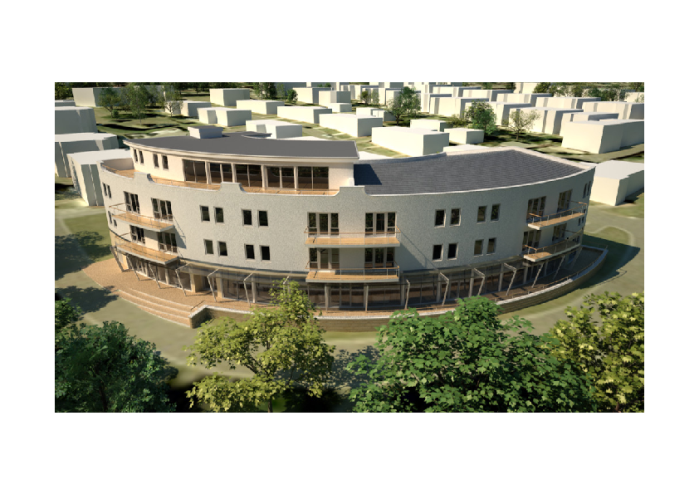 The latest addition to the Park, an Extra Care Housing scheme, is well advanced and will open in February 2014. This will add an extra 18 apartments to the 95 existing properties. The new 2 bedroomed and 1 bedroomed apartments, many with balconies overlooking the Mersey, are specially designed to meet the needs of older people. All the apartments are available to rent by retired mariners and their dependants. The Extra Care development, however provides much more than modern spacious apartments. On the ground floor there will be wide range of communal facilities. This includes a café bistro, a comfortable lounge, a hobby and craft room, plus a gym and hair and beauty salon. A wide range of activities will be available for residents to join in if they choose. To ensure complete peace of mind there will be care staff on duty 24 hours a day, 365 days a year. Staff are also there to provide any care and support that might be needed. Peak Pursuits, an established outdoor education provider has recently joined the many new businesses welcomed into New Brighton as part of the recent Neptune Development. With years of experience and AHOEC Gold Standard of excellence for the provision of outdoor education, Peak Pursuits have a passion to bring outdoor education to the Wirral and put New Brighton Marine Lake back on the map. Peak Pursuits appreciates the privilege they have been given in managing the promotion of the lake. Therefore if you have any ideas or queries you would like to put to Peak Pursuits they would be more than happy to hear from you. We started our refurbishment work on Gorsehill Road reservoir in June which we are planning to complete within 6 months. During this period there will be an increased level of construction traffic on local roads and we have put a temporary traffic management system in place to ensure the safety of both our workers and all other road users. We understand that this work may cause inconvenience to local residents and we have been looking at how we can thank the local community for their continued patience whilst we complete this work. We have begun working with the Gorse Millennium Trust into how we can assist regenerating The Gorse, located off Gorsehill Road, so that it can continually support and contribute to community life. We support the aims of The Gorse to be an attractive and enjoyable place for people to visit while supporting local wildlife, community events and celebrations. We are committed to investing in The Gorse over the coming months and hope, with the support of the local community, that The Gorse remains a safe natural environment to be enjoyed by all. If you have any queries regarding this work please call us on 0845 746 2200 quoting project reference number CT – 80022880. We’ll be happy to help. In 2012 the kind people of Wirral wrapped and packed 11,150 shoeboxes with gifts and love which were sent to needy children in Swaziland and Romania. If you helped in any way to accomplish this – thank you! Can we count on your support again this year? If you have not been involved before – can I encourage you to start this year? Do you have a child or children at school? If so please ask if the school will be “doing boxes” this year when they go back to school. Of course you do not need to have children to fill shoeboxes – they will bring joy to both the giver and receiver whether you are 3 or 103 and you do not need to take them to a school – there are drop off points throughout the Wirral. Some packets of sweets, no chocolate please (all dated end of March 2014 or later). Paper and pens – always a big hit and may enable a child to go to school as in some countries they must provide their own stationary. …. and of course a small cuddly toy (even for the older boys). Lots of small gifts are more fun than one or two multipacks! Homemade items are brilliant – but must not be stuffed (customs requirements!). We are sometimes asked whether the children who receive the boxes have to be or to become Christians. The short answer is a resounding NO! If you would like to know more about OCC there will be a coffee morning and slide presentation at St Bridget’s Parish Church Centre in West Kirby at 10:30 am on Sat 5th October. 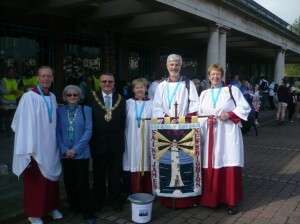 You can also look at the OCC web-site, the main Facebook page, our own Wirral OCC FB page or contact me on 07955383692. We are always happy to answer questions and we have trained CRB-checked speakers who are more than happy to speak to groups, small or large, about OCC. The second round of the City Region Collective Switch launched earlier this month. All Wirral residents are invited to join to see how much they could save on their energy bills before the winter cold. 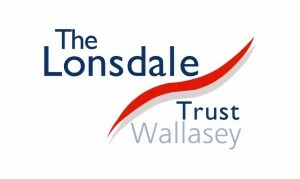 Organised by Wirral-based charity, Energy Projects Plus, together with Wirral Council, Halton Council, Knowsley Council, Liverpool City Council and Sefton Council, the scheme aims to reduce people’s energy bills by using collective buying power to negotiate cheaper tariffs from energy suppliers. Anyone can join the City Region Collective Switch, regardless of current supplier or payment methods. Those who have never switched their energy supplier or who haven’t switched in the last 12 months, are likely to benefit most from the collective switch. The first ever City Region Collective Switch took place in June. Over 4,600 people joined the switch. Those who switched have benefitted from an average saving of £110 a year. In total the City Region Collective Switch saved local residents £76,435 on their energy bills. The biggest savings from the last collective switch were in Wirral, with two residents saving over £1,000 per year on their energy bills. This collective switch aims to be even bigger and better, and it is hoped that many more residents will get involved. By registering to join the switch, householders will help give weight to the scheme by increasing its bulk buying power. They also need to register in order to receive information about, and benefit from, the tariffs that have been negotiated through the collective switch. Those interested in taking part in the next City Region Collective Switch can register their details on www.LCRenergyswitch.co.uk or call Energy Projects Plus on freephone 0800 043 0151. Following an asset transfer from Wirral Borough Council in February 2013, Vale House in Vale Park, New Brighton became Vale House Community Centre Ltd. A programme of refurbishment has taken place and the board,made up of members and directors from the local community of New Brighton ,are delighted to invite friends old and new to come and look around and use the facilities. Hire our delightful tea room for private events,, wedding , funeral and christening receptions, Afternoon teas are a speciality as are the fresh homemade cakes. Call 0151 653 3338 to book rooms. Our Vale Kids club is a pre-school playgroup situated in Vale House within Vale Park. We are open Monday –Friday 9.15am to 12.15pm and we have funded places available for this September. The kids’ club play room makes a great venue for children’s parties at only £15 per hour. Our lunch club has been running at Vale House for nearly 17 years. We are open Monday’s and Friday’s offering a 3 course meal with the opportunity to meet and make friends surrounded by our lovely park. Most members have lived in the local area all their lives so new members often meet old school friends, neighbours or relatives when they visit us for the first time. If you would like to join us or know someone who may benefit from being part of the lunch club then give Gloria a ring on 0151 639 1386 to arrange a visit. The last Friday in every month is bistro night when you buy a very affordable meal, come together with local community and make new friends. Call 0151 638 2666 for cafe enquiries.